TheChristianObserver.blogspot.com This blog is not affiliated with www.christianobserver.org. Comrade Obama: Danger In The Oval Office! Faith sees the invisible, believes the incredible and receives the impossible....author unknown. Satan can't do much with people who keep assulting him with scipture............David Jeremiah. This event actually happened last year but the reason for posting it is to illustrate how far down the slippery slope of totalitarianism America has slid. When reputable, smart people can be fired for stating the truth because it goes against the current government administration, America is close to becoming a totalitarian dictatorship with internment(FEMA)camps for political prisoners not far behind. "The Lord has given me a strong warning not to think like everyone else does. He said, 'Don't call everything a conspiracy, [used as a term of derision to dismiss the truth by those who are asleep...ed.] like they do, and don't live in dread of what frightens them.' Make the Lord of Heaven's Armies holy in your life. He is the one you should fear, He is the one that should make you tremble. He will keep you safe." Isaiah 8:11-14 NLT. "Who else has held the oceans in his hand? Who has measured off the heavens with his fingers? Who else knows the weight of the earth, or has weighed the mountains and the hills on a scale? Who is able to advise the spirit of the LORD? Who knows enough to give him advice or teach him? Has the LORD ever needed anyone's advice? Does he need instruction about what is good? Did someone teach him what is right or show him the path of justice? No, for all the nations of the world are but a drop in a bucket. They are nothing more than dust on the scales. "What sorrow awaits those who try to hide their plans from the LORD, who do their evil deeds in the dark! "The LORD can't see us," they say. "He doesn't know what's going on!" How foolish can you be? He is the Potter, and he is certainly greater than you, the clay! Should the created thing say of the one who made it, "He didn't make me"? The Lord's judgement is a terrible thing. America has not experienced the full fury of His wrath only the Harbinger of 9/11 so far. If America does not turn from it's evil ways[killing of over 50 million babies through abortion, openly flaunting the gay lifestyle and legalizing it, removing the name of the Lord from every public venue in speech and word]; His judgement will come as surely as the sun sets at the end of the day. "Listen! The Lord's arm is not too weak to save you, nor is his ear to deaf to hear your call. It's your sins that have cut you off from God. Because of your sins, he has turned away and will not listen anymore. Your hands are the hands of murderers, and your fingers are filthy with sin. "The Lord says, 'I was ready to respond, but no one asked for help. I was ready to be found but no one was looking for me. Why should America be any different than Israel? We are stupid and foolish for forsaking Him. He is the only one that can change America's future. America as a nation must cry out to Him for mercy, for America's abominations are detestable in the Lord's sight. It may already be to late. Yes, there is a conspiracy of satan to rule the world through his earthly henchmen the Illuminati. Those involved in the occult, devil worship, the Illuminati work ever more feverishly to implement a 10 kingom global government to control every man, woman and child on this planet as Americans sleepwalk through their daily activities almost totally unaware of what is being planned for their future. WAKE UP AMERICA! 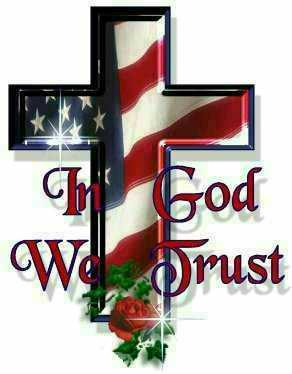 THE LORD HAS NUMBERED YOUR DAYS AS A FREE COUNTRY. Jesus Christ has written in the books of Daniel and Revelation in the Holy Bible through his prophets what will happen in our future. I make known the end from the beginning, from ancient times, what is still to come. I say: My purpose will stand and I will do all that I please. Isaiah 46:10 NIV. "All prophecy has a physical component. Fulfillment is in real time and in the real world." There is no need to fear the future if you trust in the one who already knows it! He will protect you and take care of you. He will give you wisdom to separate deception from truth if you pursue him with all your heart, soul, and mind. But there is a cost to pursue this goal of wisdom and discerning the future. You must BE AWAKE! VERY FEW Americans are awake today and that is why they are not discerning true facts from lies put out by the mainstream media(MSM). "So be on your guard, not asleep like the others. Stay alert and be clear-headed." 1 Thessalonians 5:6 NLT. Paul who knew Jesus Christ tells us in 1 Thessalonians that we must not be entranced by worldly pursuits which war with your mind, cloud your thinking and distract you from concentrating on end time events. We are to watch and be sober, clear minded to separate lies from truth. 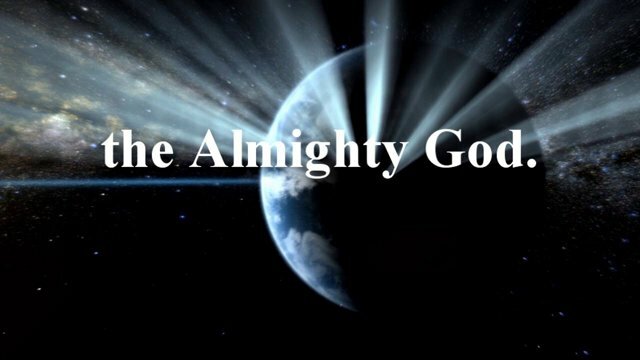 I have written numerous articles over the last 12 years directed specifically to those who are awake to show you the significance of current events related to bible prophecy and God's end time plans. The first link at the top of this page is one of the first articles I composed. Here are other articles that are still relevant today, though written many years ago. The title of this article relates to the spiritual and also the physical motivated by the spiritual realm(Satan). In the video below Lord Monckton discusses how the global government is being being formed and debunks the global warming myth. In a similar vein, Pastor Lindsay Williams has recently stated that the Pope is going to call for world governance, in order to save the planet from the so-called ravages of climate change. Williams has announced that this proclamation will take place at the Pope’s address to the United Nations on September 25, 2015. GREEKS SAY NO! TO FINANCIAL TERRORISM. What the troika is doing to Greece these days is the pinnacle of financial terrorism. It is economic waterboarding. It is blackmailing of the first degree. These people are neoliberal fascists, putting the Greek government before a dilemma – ‘either you present us with an acceptable list of austerities, or we will prepare one for you’ – literally. An austerity plan you better accept, lest you may default and being expulsed from the European monetary union and maybe even the EU. That is their threat. That is what Brussels does to a brother; to one of theirs. There is not a shred of solidarity left in this miss-called ‘Union’. ‘No-Solidarity’ is the brand mark of Europe. It is depicted all over the map. Another glaring example is the EUs refusal to aid the trans-Mediterranean refugees, the victims of wars and conflicts inspired by Washington and carried out in full complicity with Europe – Libya, Syria, Sudan, Iraq, Egypt, Somalia, Central Africa, Yemen – and more. 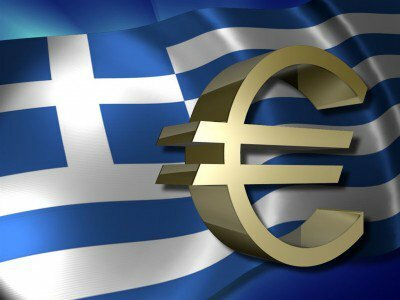 In Greece the troika (European Central Bank (ECB), the European Commission (EC), and the International Monetary Fund (IMF) is applying a strategy of ‘reverse objectives’. The EU does not want Greece or any other member, no matter how weak economically, to leave the Eurozone. A Grexit may risk causing a chain reaction. By threatening to expulse they are inciting Greece to beg for mercy. Earlier during these month long ongoing negotiations, Madame Lagarde, the Iron Lady of the IMF, the epitome of a marionette to the Masters of Washington, had the audacity to observe, I want to talk to adults, when she referred to obtaining a ‘better, more serious’ austerity plan. She is the personification of IMF supremacy. Mind you, it is the IMF, the extended arm of the US Treasury that calls the shots in Brussels. The EU, acting as vassals, plays along in full ideological complicity. A socialist government in the EU cannot be tolerated; even less so as it hosts the key European NATO base. 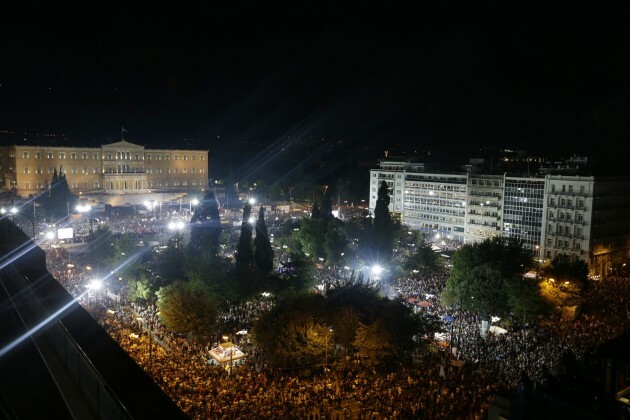 The Greek people are being penalized for having had the audacity to elect a socialist government – How dare they! – That’s the verdict. It is however also amazing how adamant Mr. Tsipras and Syriza defend the idea of staying at all cost in the Eurozone. Why? – The Euro is doomed. The Euro is barely 15 years old. We all remember the happier times with our own sovereign national currencies. With the onset of the Euro, Europeans have become enslaved to predatory banking. Europe has surrendered its sovereignty to a bunch of monster mega banks, all linked to Wall Street. In fact, the European Central bank (ECB) is not a real central bank, but a mere instrument of Wall Street. Mr. Draghi, the President of ECB, is a former Goldman Sachs executive. In other words, Goldman Sachs runs Europe’s monetary and economic policy. The mystery remains – why commit suicide, economic suicide of an entire nation, by stubbornly clinging to a sinking ship – yes, the western monetary system with its dollar-based greed economy is doomed. It is only a question of time. All signs are on the wall. The Greek people are NOT STUPID and are willing to stand up to the economic blackmail put forth to them by Lady Lagarde of the IMF and the other troika members. As of Sunday evening, July 5 Greeks voted to reject demands for more austerity in exchange for rescue loans thumbing their noses at the IMF, ECB and European Commission(EC). As the above article by Global Research indicates the economic situation in Greece will eventually heal if the Greek government will stop borrowing from the IMF, produce their own currency and nationalize the Greek banks. Icelanders who also loved their economic freedom kicked the bankers out and arrested the ones responsible for their banking crisis. VANCOUVER ( Silver Gold Bull) -- For approximately three years, our governments, the banking cabal, and the Corporate Media have assured us that they knew the appropriate approach for fixing the economies that they had previously crippled with their own mismanagement. We were told that the key was to stomp on the Little People with "austerity" in order to continue making full interest payments to the Bond Parasites -- at any/all costs. Following three years of this continuous, uninterrupted failure, Greece has already defaulted on 75% of its debts, and its economy is totally destroyed. The UK, Spain and Italy are all plummeting downward in suicide-spirals, where the more austerity these sadistic governments inflict upon their own people the worse their debt/deficit problems get. Ireland and Portugal are nearly in the same position. Now in what may be the greatest economic "mea culpa" in history, we have the media admitting that this government/banking/propaganda-machine troika has been wrong all along. They have been forced to acknowledge that Iceland's approach to economic triage was the correct approach right from the beginning. What was Iceland's approach? To do the exact opposite of everything the bankers running our own economies told us to do. (Emphasis mine ...ed.) The bankers (naturally) told us that we needed to bail out the criminal Big Banks, at taxpayer expense (they were Too Big To Fail ). Iceland gave the banksters nothing. The bankers told us that no amount of suffering (for the Little People) was too great in order to make sure that the Bond Parasites got paid at 100 cents on the dollar. Iceland told the Bond Parasites they would get what was left over, after the people had been taken care of (by their own government). JUST SAY NO TO THE MONEY CHANGERS! FREEDOM YET RINGS IN A FEW PLACES AROUND THE WORLD. "History records that the money changers have used every form of abuse, intrigue, deceit, and violent means possible to maintain their control over governments by controlling money and it's issuance." James Madison. The biblical view of the moneychangers from the word of God. And making a whip of cords, he drove them all out of the temple, with the sheep and oxen. And he poured out the coins of the money-changers and overturned their tables. John 2:15 ESV.